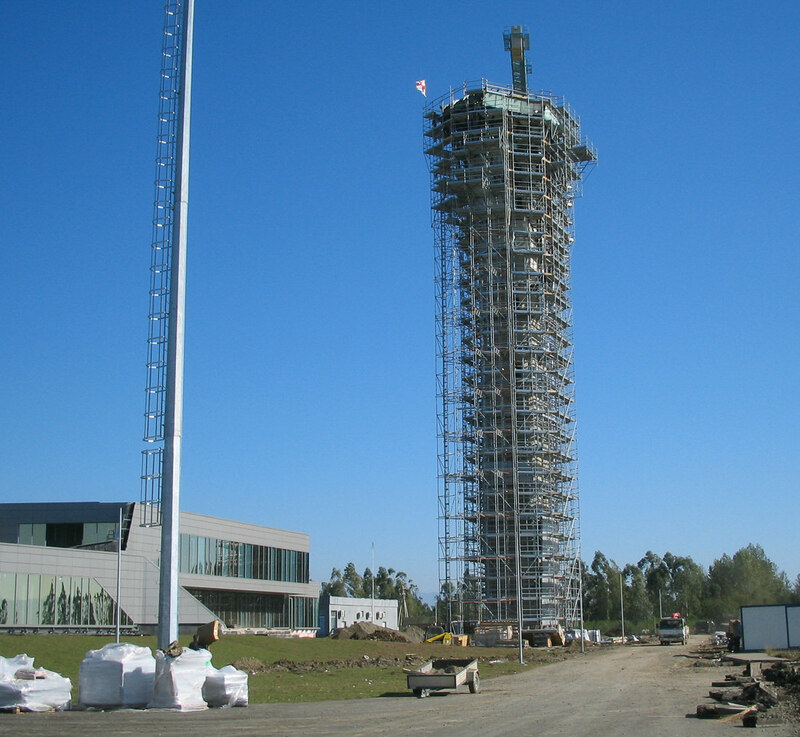 The reduced likelihood of attaching anchorages to the tower structure together with the special protruding shape of the upper part resulted in the necessity to stabilize the scaffolding structure by creating two concentric structures. 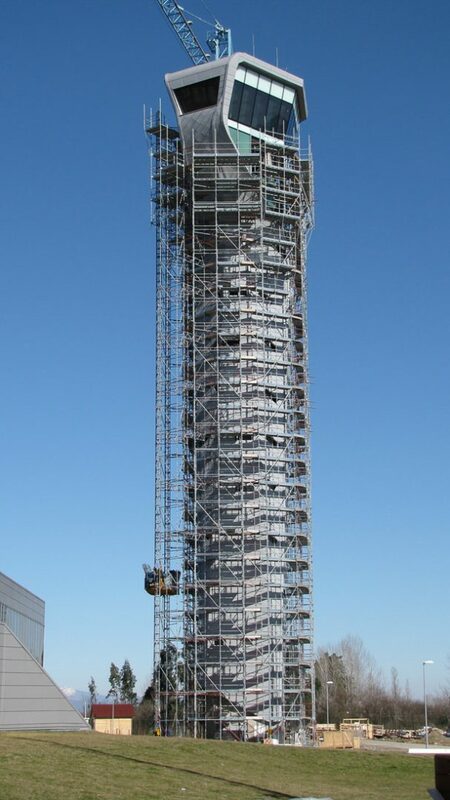 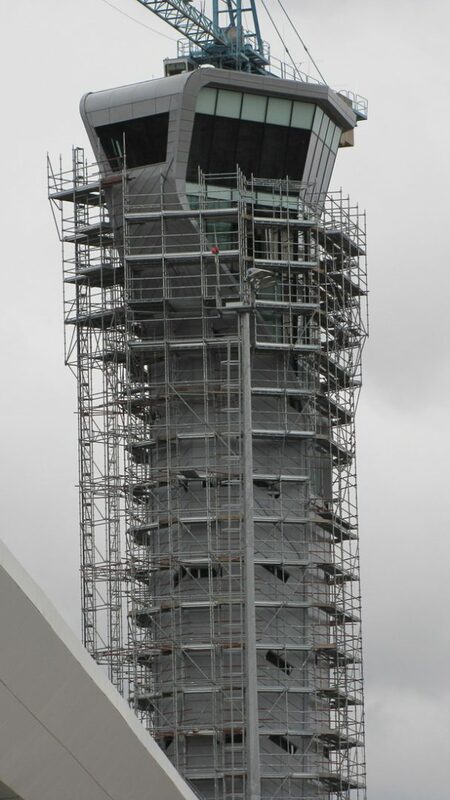 The scaffolding structure closest to the tower was built in MP multidirectional scaffolding, with steel planks placed every 2 m.
The installation of three levels of MP system shelving enabled workers to get closer to the building for the fixing of the support brackets for the cladding panels, working in total safety. 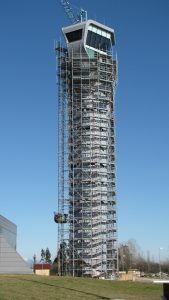 The three shelving levels were moved to the different scaffolding floors, in accordance with the progress of the works. 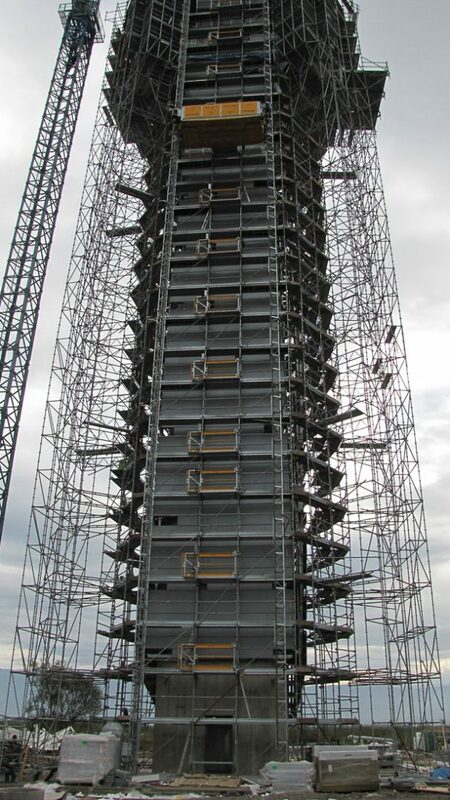 The outer MP multidirectional structure, up to a height of 44 m, acts to stiffen and stabilize the inner MP structure and to support the scaffolding area with planks which go from 44 to 56 m.
The two MP structures, concentric, are connected every 6 metres in height by means of a truss beam. 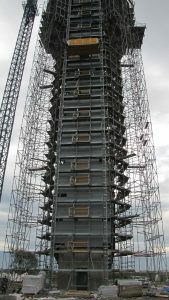 of three overhanging loading areas, positioned on the outermost MP structure. 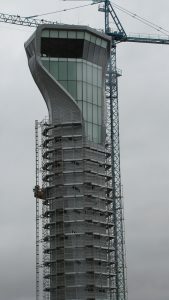 The plan dimensions of the areas were chosen in accordance with the size of the glazing packages (1m x 3m). 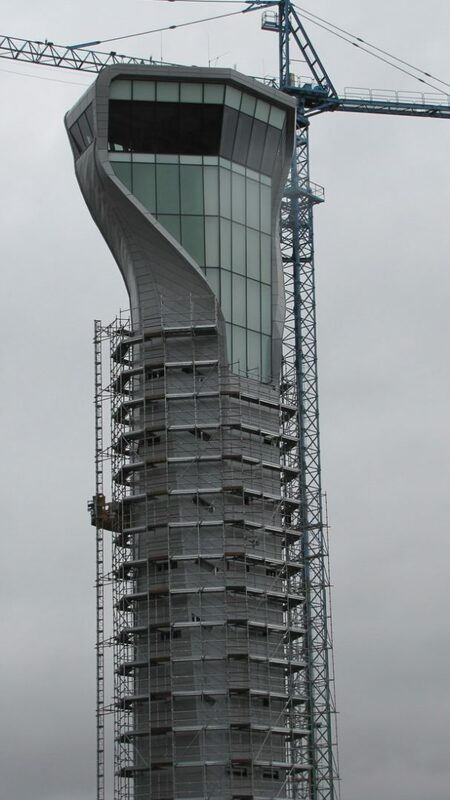 The construction of the overhang was made possible by the application of truss beams of 1.80 m in length.